Everett has officially been released from the hospital!!! I'm so happy to hear this news, I've been bopping around to the Pointer Sisters all morning long. Heather and Everett are snuggled up safe and sound in a nearby hotel with Nena, Gege, Jaiden and Cooper. And they couldn't be happier!! 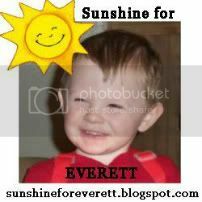 However, there is still a long way to go for Everett's recovery. 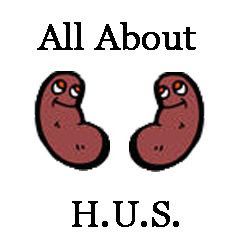 Heather had to learn all about a kidney-friendly diet for Ev. She will also have to constantly monitor Everett's blood pressure, as he's been having problems with it since the beginning. He will have to continue seeing a doctor on a regular basis for the better part of a year. Remember, his kidneys are still functioning at less than 20%. So while this is a major victory in Everett's battle, we still have some skirmishes to fight!! The family faces frequent trips to San Francisco, which is over 400 miles away from where they live. Everett and Heather will be spending many days traveling to and from the hospital for his appointments. What does that mean, Everett Warriors?? That our task is still not complete!! Keep those donations, care packages, and positive messages rolling in!! And I don't think Everett would mind a few more dancing videos, from any of those who are so inclined. Because for now, we're putting all the rest aside and celebrating the simple fact that Everett finally gets to go home!!!! YAAAAY! Here's to hoping everyone is smiling so much they're worried that their face will break.